In Nov 2007, Google unveiled an open platform for Linux Phones which changed the world forever. ‘Android’ was rolled out with the help of 34 partners which included T-Mobile, NTT DoCoMo, China Mobile, Motorola, Nokia, Samsung, HTC, Intel, and Google. This was considered to be a pioneer in the Smartphone boom, and by the end of October 2008, exactly 352 days after the official Android release announcement, HTC released the first Android-based Smartphone, the ‘HTC Dream’ which was also known as T-Mobile G1. A physical keyboard, a trackball, physical navigation buttons and a 3.2-inch capacitive touchscreen held together by a feeble Android 1.0 shaped together the HTC Dream. With an open source Android Development, G1 was equipped with the Android Market which is now known as the Play Store, which offered 50 applications at the time. The G1 may not be considered the best that could have been offered to begin the Android era, but it still got its share of acclaim. Roughly a year later, Verizon brought forward the Motorola Droid, which boasted of a slightly altered version of the Android OS. Droid proved to be a catalyst for the Android Smartphone market and later on gave birth to Google’s own Nexus series, which would contain the unmodified version of the Android Operating System. 10 years down the lane, Android has captured over 85% of the Smartphone market around the globe, with over 2 Billion active devices in May 2017. But that is not all. Apart from popular belief, Android development is not limited to Smartphones but is powering various devices across numerous sectors of today’s digital era. Here is the list of Sectors that use Android. Android Television was officially announced in June 2014 as the next in line after Google’s earlier attempt at Smart TV sector, the Google Television. ‘Nexus Player’, the first device to make use of Android TV, was released in November 2014 and was developed by Google and Asus. Users who have Android TV can access the Google Play Store through the UI to choose through a prolonged list of movies, music, and TV shows. Users can also access popular online services such as Netflix (video on demand provider), YouTube (Google’s video sharing platform), VLC (Media Player Application), Spotify (Music and Video Streaming website) and much more. Apart from Televisions, Android TV can be built into Digital Media Players. Some of the Digital Media Players employing Android technology are ‘Shield Android TV (NVIDIA)’, ‘Nexus Player (Google and Asus)’ and ‘Mi Box (Xiaomi)’. Android Auto is an Android-based mobile application that allows users to broadcast a UI onto the vehicle’s compatible touchscreen. This allows the user to use the latest applications at their disposal such as GPS Navigation, Music, SMS, Calling and Browsing right through their car. Android Auto supports both the touch screen and the button based screen, but for security risks, Google always advises riders to use the voice-controlled model. Android Auto was released in March 2015 and has not looked back ever since. Right from its start, Android Auto received huge support, and automobile manufacturers came in support of the technology. Hyundai became the first automobile manufacturer in May 2015 to offer Android Auto support in its Hyundai Sonata. Android Auto has received support from 28 automobile companies which include big shots such as Audi, Ford, Bentley, Skoda, Nissan, Mercedes-Benz, and Lamborghini. Google released Android Wear in March 2014 which is an altered version of Google Android designed to run smartwatches after being paired with mobile phones running Android versions over 4.3. With minimal support from Google Pairing Applications, Android Wear can also be paired with smartphones running iOS version over 8.2. Using Android Wear users can integrate Google Assistant and mobile features into a smartwatch, also enabling the users to access the Google Play Store for new applications. Android Wear can also track your fitness using Google Fit. 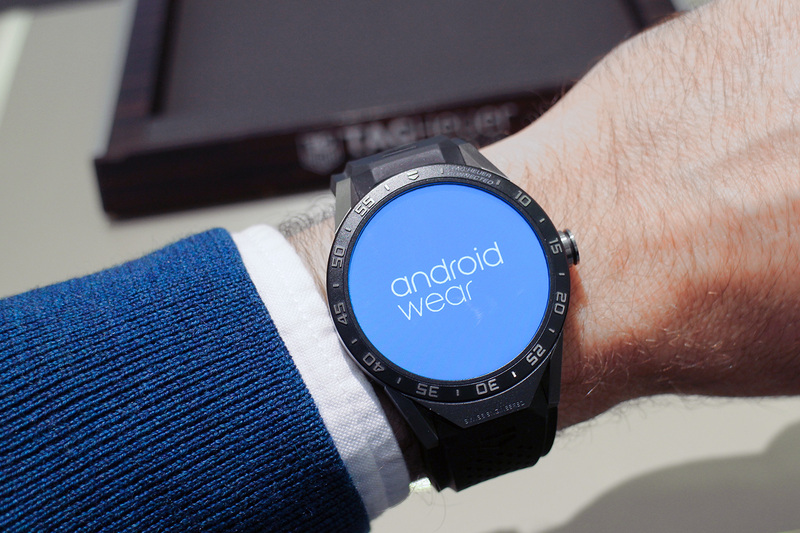 Android wear lets the user enjoy features such as Bluetooth, Wi-Fi, 3G, and LTE. Many companies have been manufacturing smartwatches, including Asus, LG, Intel, Samsung, and Motorola. In the first six months, over 700,000 Android Wear watches were purchased, making it a huge market for hardware companies. In 2015 it was estimated that Android Wear controlled almost 10% of the smartphone market. By January 2016, Android Wear boasted of over 3 million app installations. If you believe Google Play Store is only good for feeble games such as Candy Crush and Temple Run, you are living in the past. Google now boasts a diverse game pool which consists titles such as Minecraft, Tomb Raider and versions of the Rockstar Gaming product, Grand Theft Auto. A lot of games present on the Google Play Store can be easily played using the touchscreen, but some titles require external peripherals to bring out the best in them. Keeping the users in mind, Google extended support to Gaming Controllers which can be connected to your smartphone to get the best gaming experience. Android users who have a fresher version than Android 4.0 can easily pick up a third party android controller and begin gaming. There are a number of controllers available, which include Moga Hero Power Controller, Pyrus Telescopic Controller, SteelSeries Stratus XL, and 8Bitdo Zero. The immense population of Social Media websites such as Facebook, Twitter, and Instagram has given rise to new tech and trends, and in 2013, Android Digital Cameras took the game a level further. People wanted a good digital camera to take pictures of their food, their cat or themselves but also wanted a device capable of real-time sharing, and this gave birth to the Smart Camera. In 2013, Nikon and Samsung brought forward their very own Android Camera and the digital world has not looked back ever since. Nikon Coolpix and Samsung Galaxy Camera started the trend, and soon enough other companies followed. Currently, the digital camera market is shrinking due to the smartphone market soaring drastically, but companies such as Nikon, Samsung and Polaroid are offering impressive Android cameras with features such as Wi-Fi, Geo-Tagging, and high storage capabilities. When we talk of Android, we talk of innovation, and Samsung provided just that. In January 2013, Samsung brought forward its T9000 refrigerator, which boasted of features such as enabling you to see inside the fridge without even opening it. With a massive 21.5 Inch Display, users can keep tracks of events in their refrigerator with the help of internal cameras. Using other features such as Evernote, Epicurious and Calendar, users can search for recipes, note down shopping lists and even keep track of food stocks. Apart from this, you can even compose tweets and check the weather, helping you keep track of what is inside the refrigerator as well as outside. Really, Android is no longer a system just for smartphones. It is rapidly taking over our other machines as well. Little by little, it is conquering the world of technology and overtaking our life in more ways than one.